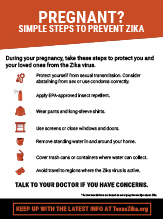 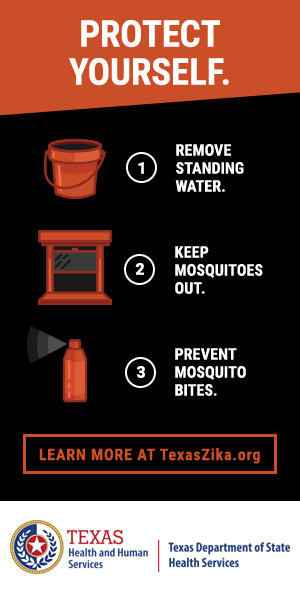 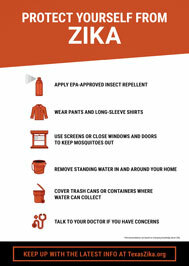 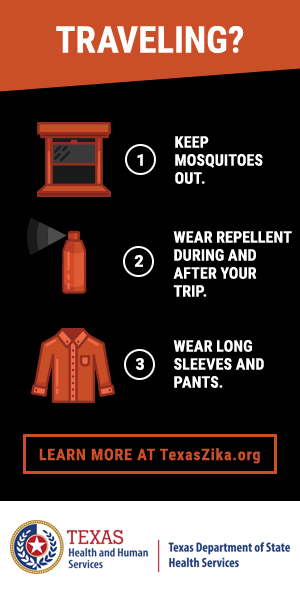 Help prevent the spread of Zika. 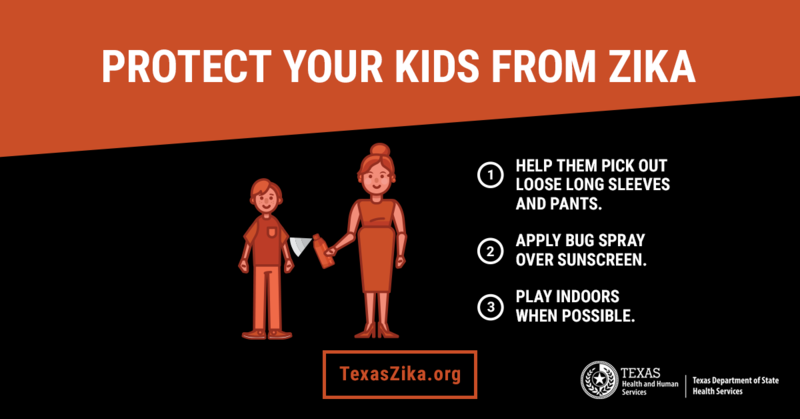 Use our poster, push cards, and fact sheets. 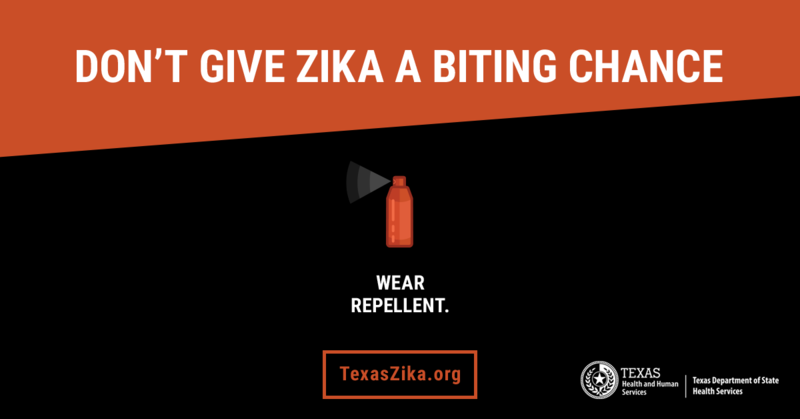 Share our TV and radio spots. 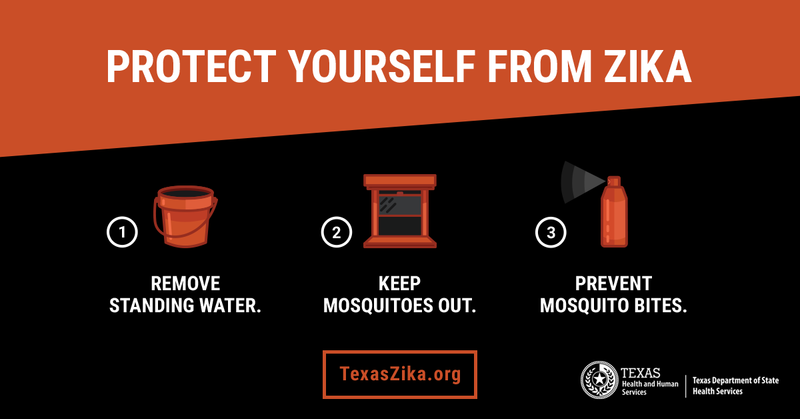 Post our graphics on your social media page. 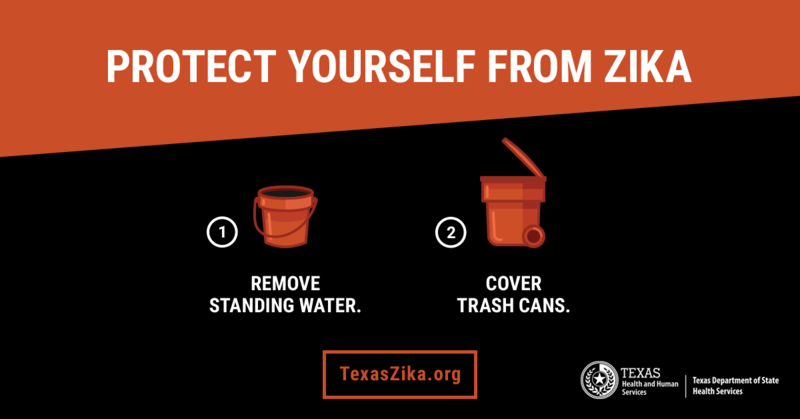 Many materials are available for order through the Texas Health and Human Services Forms and Print Products Catalog. 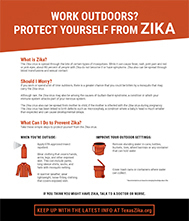 Please register before ordering, and then search by publication number. 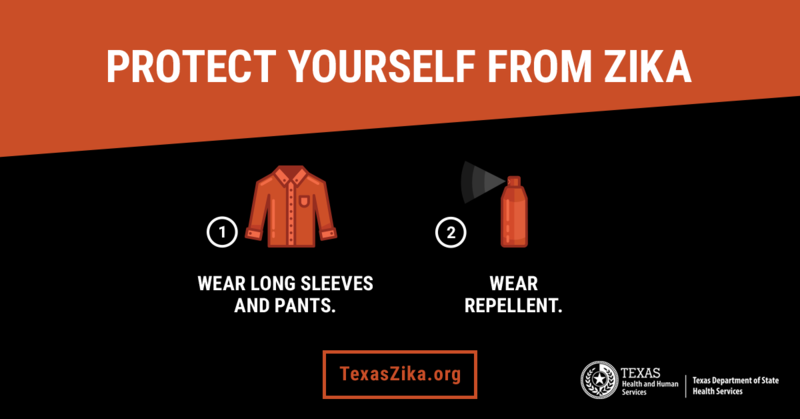 To check on the status of your order, call (512) 250-7116. 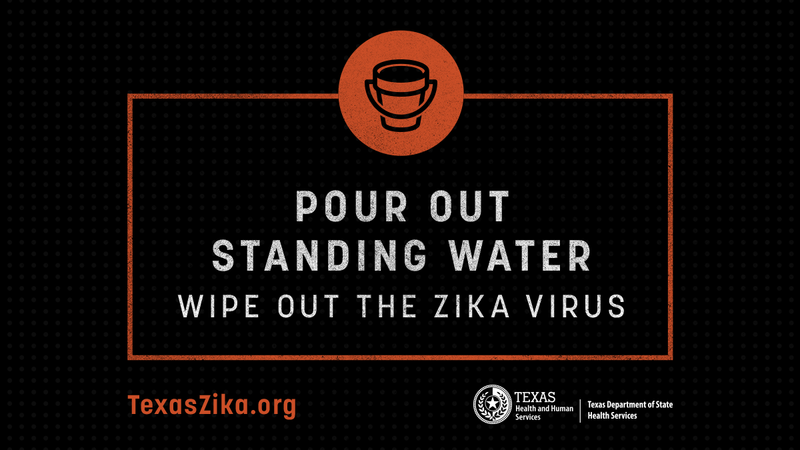 The CDC website has materials available in other languages, including Portuguese, Chinese, Vietnamese, and Creole. 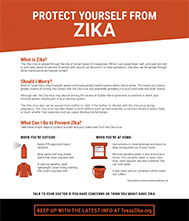 Materials in Chinese, Vietnamese, Korean, Tagalog, and Urdu can be found at www.aboutzika.org. 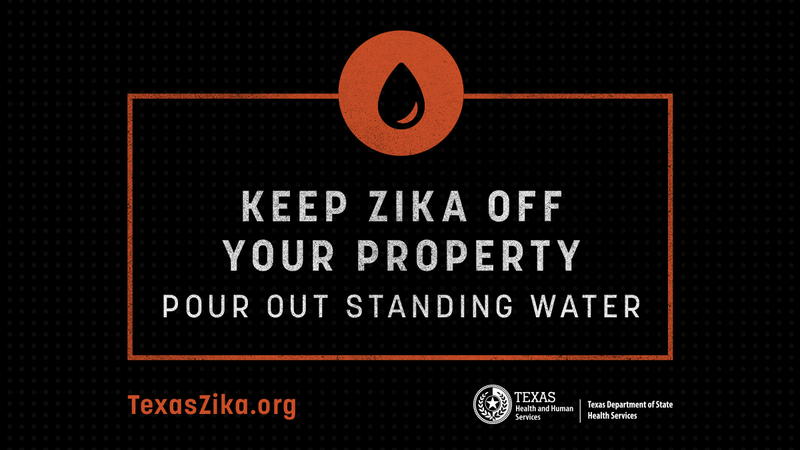 Please contact us for broadcast-quality versions of these Public Service Announcements (PSA). 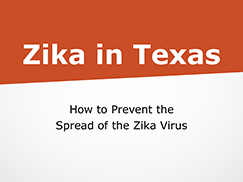 See more DSHS Zika videos on YouTube. 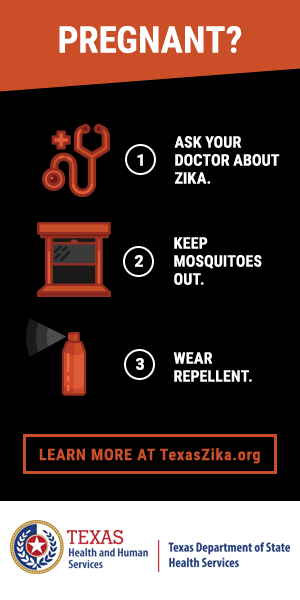 Share these graphics on social media. 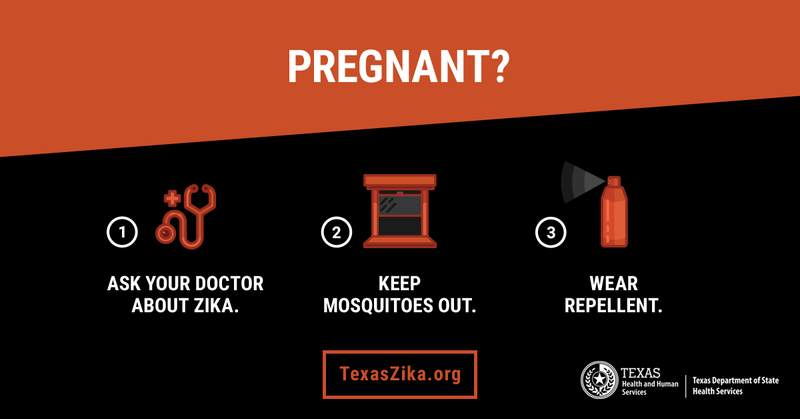 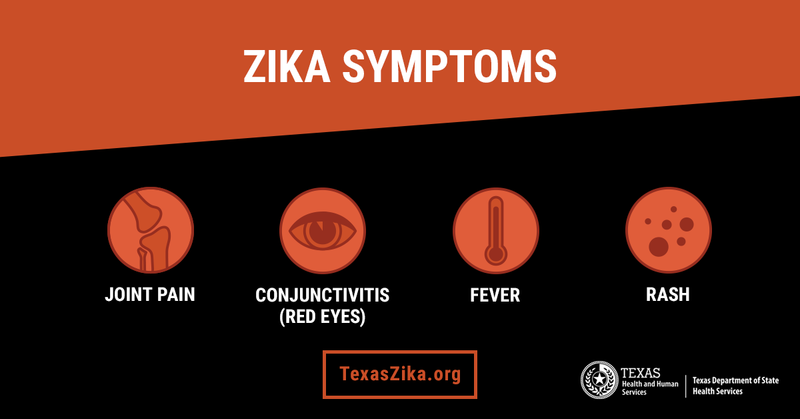 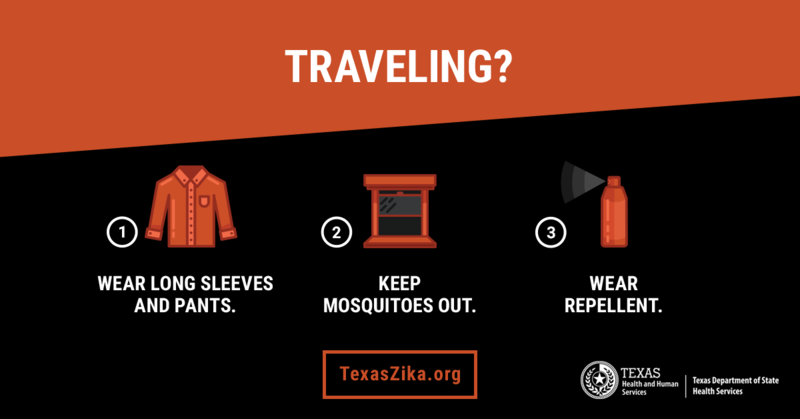 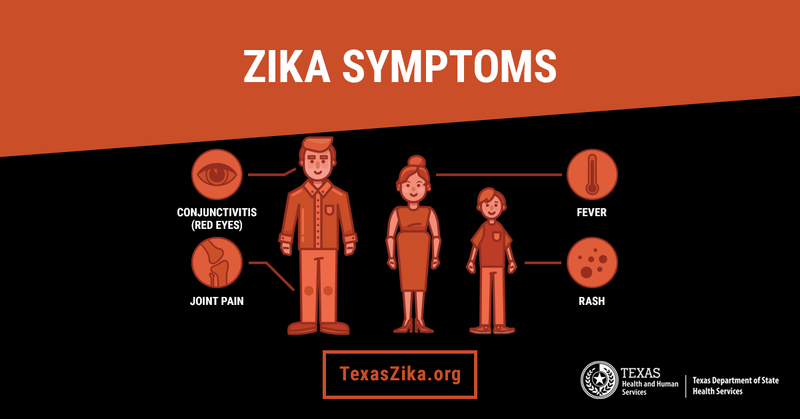 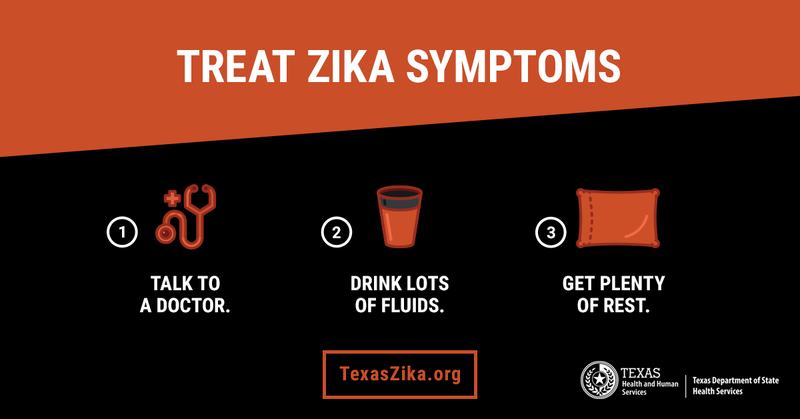 Use the Zika Communications Toolkits, which includes a variety of both English and Spanish newsletter copy as well as social media copy and graphics for all Texans, pregnant women, travelers and people who work outdoors. 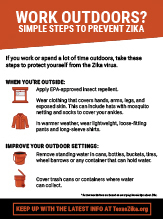 This educational deck includes information on how to prevent the spread of the Zika Virus. 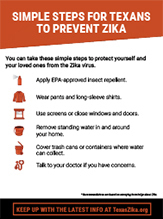 Please contact us for the PowerPoint versions of the slide decks.